Program Your Own MicroPython projects with ease―no prior programming experience necessary! This DIY guide provides a practical introduction to microcontroller programming with MicroPython. 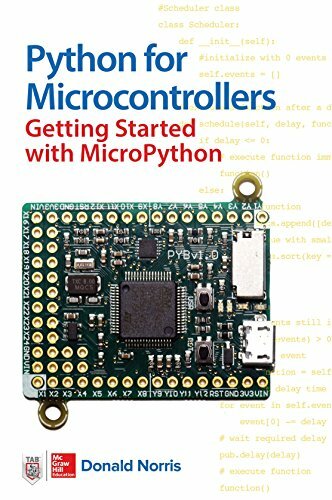 Written by an experienced electronics hobbyist, Python for Microcontrollers: Getting Started with MicroPython features eight start-to-finish projects that clearly demonstrate each technique. You will learn how to use sensors, store data, control motors and other devices, and work with expansion boards. From there, you’ll discover how to design, build, and program all kinds of entertaining and practical projects of your own.